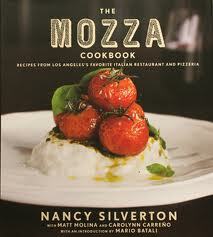 Nancy Silverton's Mozza Cookbook veers sharply from the magnificent (pizza crust, meatballs, an incredible dish of mussels with tomato sauce) to the not-quite-right (a bland pan-roasted halibut; a glitchy brussels sprouts recipe, a slushy Meyer lemon gelato), but cooking from this book was never less than enthralling for me. It is full of exciting and exotic dishes (stinging nettle tagliatelle, caramel coppetta with marshmallow sauce and salted Spanish peanuts) that I still want to try on the chance that they'll fall on the magnificent end of the spectrum. And based on the record of the recipes I've already tried, it seems probable that a few of them would. The book has problems, probably more than it should given Silverton's reputation. But I love this book. It's challenging and interesting and inspiring and I consider it a shelf essential. 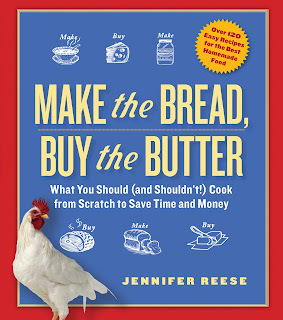 Jennifer, I have a question for you, have tried any of the recipes in "the whole foods market cookbook"? Someone recommended to me, but the reviews at amazon aren't the best, just asking. I totally love your book and have recommended to several people! No, I haven't. I didn't even know it existed! I too will try to comment more often as I love your posts on cooking through cookbooks and your 'earnest summations' -- and all of your writing! Loved the recommendation re checking out a potential cookbook from the library before buying -- it has certainly saved some shelf space! Well there is a lot to be said for inspiration, even if all the recipes are not worthy. Some of the cookbooks I like best just point me in the right directions. Like everyone else here, I love the cookbook explorations & ruminations & summations as much as your depictions of the family life that orbits around the food. My cookbook obsession is similar to your own, yet I have never really examined what this obsession might mean or what it might say about me. There are so many issues: What does this need to continually buy new cookbooks mean? Am I looking for new recipes or just inspiration? Would I be better off ditching my hundreds of cookbooks and instead just start flying solo from what I've already learned from all those volumes? Would I be a better and/or more creative cook if I stopped trying a new recipe from a different ethnic culture every time I cooked and instead scaled back and cooked the way all those wise women in Paula Wolfert books cook? -- utilizing a set repertoire of ingredients and techniques to cook variations on the same dishes over and over to produce meals that, while perhaps not adventurous or show-stopping, are perhaps more comforting and satisfying to those who eat what I cook, and perhaps more gratifying personally? Is there some way to distill all I've learned from cooking hundreds of recipes from hundreds of books to develop a way of cooking that is completely individual and recognizably my own? If anyone is fit to explore such issues, entertainingly and insightfully, it would be you! How about a book on this topic? I bought this cookbook a couple of months ago when you first wrote about it. Then Nancy came to the Tucson Book Festival and she was wonderful! I've tried many of the recipes, also, and have had a lot of success (so far!). The meatballs are in the oven right now. Thanks for your great reviews. I've purchased three books based on these - including yours. Loved the apricot ginger bread and the cherry chocolate bread!